Chris Atkin began his working life in 1985 when he lived in South Africa. Chris was part of the planning department at Telkom SA which is Africa’s largest integrated communications company. 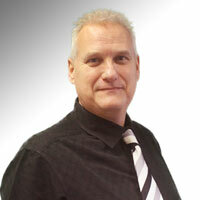 Chris moved back to the UK in 1995 and worked for the Observer newspaper selling advertising. In 1999 Chris joined Palladian Publications' advertising department and began selling advertising on Hydrocarbon Engineering. During his time at Palladian Chris has also been Advertising Manager on LNG Industry. Now Chris focuses on Hydrocarbon Engineering alone and enjoys travelling the world to meet with clients and attend industry events. Chris' time on the magazine has allowed him to form strong relationships with his customers as well as some good friendships.